If you love to browse the web as well as chat with your friends simultaneously here is an excellent tip. 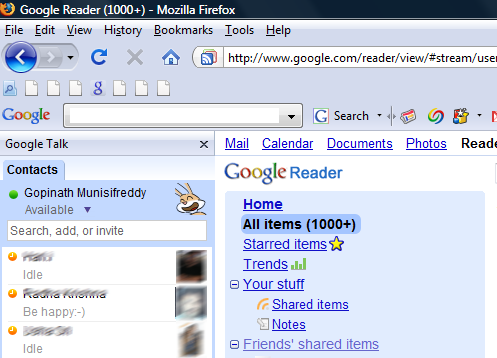 Just launch Google Talk in Firefox browser sidebar and continue your web browsing. You never need to leave your browser to reply to chat message. 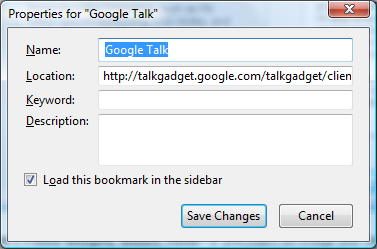 Go to Bookmarks menu and locate the created Google Talk bookmark. From now onwards when you click on the Google Talk bookmark from your bookmarks list, it automatically opens in side bar.